As you might expect, any financial agreement will be a trek into the frightening realm of legalese. If you aren’t up on your jargon–and even if you are–you’re likely to run into some unfamiliar terms. One of the more ominous ones you may encounter in the alternative lending world is the confession of judgment. Is it as bad as it sounds? At the risk of spoiling the big reveal of this blog post, “yes.” While this post is no substitute for legal advice, we can provide some basic information about what a confession of judgment is, where you’re likely to encounter one, and whether it’s usually a good idea to sign one. Read on and we’ll try to break it down for you. When you apply for a loan or cash advance, your funder needs to prepare for the possibility that you will be unable or unwilling to pay back your balance in full. Usually, they will require some form of collateral. With traditional secured loans, this usually means putting up an asset you own, ranging from real estate to heavy equipment to a cash deposit. If you default on your loan or advance, your funder can then recoup some of their loss by keeping your collateral. A confession of judgment isn’t collateral, per se. In fact, it’s usually paired with a form of unsecured “collateral” called a personal guarantee. A personal guarantee is essentially a promise to pay back your loan or MCA with personal assets should your business be unable to. If that gives you pause, it should; putting your personal assets at risk raises the stakes for you as a borrower since it’s removing the distinction between yourself and your business. Sounds like a pretty good deal for your funder, though, right? On paper, it looks like a solid win, but enforcing a personal guarantee can be an ordeal for lenders. In many cases, they’ll need to bring a lawsuit against the guarantor to recoup their losses. That’s where the confession of judgment comes in. So let’s say a funder is taking on a high-risk borrower for an unsecured loan or MCA. They think there’s a reasonable chance the borrower will default, but they don’t want to sink the money and time into a lawsuit to enforce the personal guarantee. As aÂ conditionÂ for the loan or MCA, the borrower may have to sign a confession of judgment. A confession of judgment allows the funder to go after the borrower’s personal assets as though they’d successfully received a judgment against them in court. That means the funder bypasses most of the due process the borrower normally be afforded: no trial, no hearing, no opportunity for the borrower to defend himself or herself. The funder simply needs to file the confession of judgment with their county clerk or appropriate agency. The courts will then inform the borrower that a judgment has been made against them. As you can imagine, confessions of judgment are controversial. Not every state uses them (they’re more prevalent in the Mid-Atlantic states) and even among those states they may not be applicable to all financial contracts in your jurisdiction (most of those state only allow them for commercial transactions). They may be valid only for specific types of debt and for a specific amount of time. A confession of judgment can apply to debts currently outstanding or those that will become due in the future. Be sure to speak to a lawyer about any specific questions you have about how your jurisdiction adjudicates confessions of judgment. Should You Sign A Confession Of Judgement? No. Not if you can help it. You should always think long and hard before signing any of your legal rights away, and a confession of judgment is no different. Depending on your jurisdiction, it can severely impede your ability to protect yourself from collectionÂ efforts. On the other hand, if you’re able to pay off your loan or MCA without any issues, the confession of judgment won’t ever really come into play. It’s only filed if your funder is unable to collect on your debt. If there’s no need to start a collection action against you, it’s simply another piece of paper you signed. But again, you should really avoid signing one if you can possibly help it. What If I’ve Already Signed One? Don’t panic! If you’re making your payments on time, it’s unlikely that you’ll even need to think about your confession of judgment again. A confession of judgment has specific triggers that need to be met before it’s valid. In most cases, this trigger will be missing payments. If your funder has actually filed a confession of judgment against you, the picture isn’t as rosy. In most states, however, you’re not completely out of options even if you reach this stage. You may still be able to negotiate a settlement with your funder, for example, or even have your confession of judgment vacated. The latter may require proving that the terms required to trigger the confession of judgment were never meant. It’s also possible for the borrower to be negligent in making it clear that you’re signing important rights away when they initially presented the confession of judgment to you. Be sure to speak with a lawyer to find out what solutions are possible in your case and your state. How Do I Avoid Signing A Confession Of Judgement? While personal guarantees are pretty common in the alternative lending market, confessions of judgment are significantly less so. It’s generally funders that deal with high-risk borrowers who will employ them, and even then they may not require them for every borrower. If your funder tries to get you to sign one, make sure you’ve exhausted all your other options before waiving your legal rights and putting your personal assets at risk. Even if your credit rating or the age of your business has limited your options to merchant cash advances, you can still take your business to a funder who won’t lock you into quite so punishing terms. Need some other options? We can get you started. The post What Is A Confession of Judgment? Should I Sign One? appeared first on Merchant Maverick. There are so many good reasons to get a business loan that you probably haven’t even considered half of them. For example, have you ever thought about taking out a loan to hire a new employee or getting a loan for the sole purpose of building your business’s credit? Those are both valid reasons to apply for business financing, and there are many other reasons that might not have ever crossed your mind. While many small businesses are debt-averse — afraid to apply for financing because they don’t think they have good enough credit, or unsure if they can afford repayments — it’s a simple fact that you need money to make money. In some ways, living debt-free can actually hinder your business’s growth or even its ability to stay afloat. You might also be surprised at the wide variety of financing products available for almost any type of business pursuit. Even if you’ve never applied for financing before, a business loan is definitely something to think about if you are short on funds or are considering a new opportunity or investment that could advance your business. Read on for a look at 19 reasons you might want to take out a business loan. Or, skip down to the “Types of Business Loans” section to see if what type of loan you should pursue for your particular business need. Want to get your brand-new business off the ground with a running start? A startup loan can help you do just that. A few startup-friendly lenders will lend to brand-new businesses with no time in business, while others will want to see that you have 6 months’ worth of revenue. However, startup loans are not by any means easy to get for spanking new businesses lacking in experience, especially if your business is still in the “idea stage.” If this sounds like you, you might consider aÂ crowdfunded loan or small business grantÂ in lieu of traditional financing. Working capital—the money required for day-to-day business operations—is a big reason businessesÂ might need to apply for financing. For myriad reasons, your business may simply be short on cash. Sporadic cash flow, business growth spurts, and seasonal sales fluctuations are just a few reasons businesses apply for a working capital loan. In many circumstances, you might not know exactly how much money you need, but expect you’ll need some extra working capital in the near future. In such cases, you might be wise to apply for a short-termÂ business line of credit that you can draw from as needed. Businesses new and old, large and small, commonly apply for financing to cover the cost of purchasing inventory or raw materials to make products. A healthy inventory allows you to have enough product on-hand to meet demand and keep customers happy. Retail businesses, in particular, often require financing to replenish stocks, particularly is your store sees a big sales up-tick during certain seasons. For example, a company that sells a popular holiday gift might take out a short-term loan to purchase product ahead of the holiday season, and then repay that loan with the proceeds of their seasonal sales. Almost all businesses require equipment of some sort — especially businesses involved in manufacturing, as well as those in the food and service industries. Whether you need professional gym equipment or even a business vehicle, such assets can represent a major expense to a new, struggling, or expanding business. Purchasing equipment may necessitate a business loan, or perhaps you’d rather charge it on yourÂ business credit cardÂ if your credit limit is high enough. One popular way to buy business equipment isÂ equipment financing, as this type of loan typically does not require any collateral other than the equipment itself. According to the National Small Business Association, data going back as far back as 1993 shows a strong connection between businesses’ ability to hire employees and their ability to get financing. Indeed, payroll isÂ a significant expense businesses must contend with, including not just wages, but healthcare and other benefits, as well as employee training. In some cases, businesses even have to reduce their number of employees or scale back employee benefits if they don’t have sufficient access to financing. While taking out a loan to hire someone is always a risk, it’s true that employees are a business’s greatest asset; if the employee is worth their salt, they will eventually justify the expense of the loan. Businesses in the growth stage,Â as well as stable businesses trying to increase revenues and/or stay competitive with peers, will need to expand their offerings from time to time.Â Regardless of how you’re going to achieve a product or service expansion, an installment loanÂ or another type of business loan can help you make the necessary investments to keep your offerings fresh and relevant. Your business is growing fast and you need to open a new location. Expanding to a new location is a major undertaking requiring a lot of capital, but one that can pay off tremendously in time. If you have at least two years’ time in business, you may be eligible for a long-term business expansion loanÂ with low interest rates. Businesses purchasing real estate to open a new location be eligible for a commercial real estate mortgage such as those offered by the SBA through theÂ Â SBA CDC/504 program. There is even such a thing as real estate crowdfunding for businesses. Or, say you own an online business and want to establish your first physical location, you might consider a startup loan to help get your new operations up and running. Ideally, you will set aside enough money throughout the year to pay your business taxes when the tax man comes a knockin’. But alas, life doesn’t always work out that way, which is why small businesses frequently take out loans to pay taxes. Rather than get in trouble with the IRS for not paying your taxes, you are much better off using a business loan or even a cash advance to pay your taxes. A safety net is a cash or credit “cushion” you can use to fall back on during slim times. Perhaps you own a seasonal business or simply have cash-flow problems from time to time; even though you don’t require any extra working capital at the present moment, you feel good knowing it’s available if and when you need it. You’re probably especially aware of the need for a safety net if you’ve been caught without one in the past, and had to pay overdraft bank fees or get an expensive short-term loan to cover unforeseen shortfalls. A revolving line of credit, working capital loan, or even a business credit card can all help provide a safety net for a future rainy day. If there are no rainy days on the immediate horizon, you will have some peace of mind knowing you’re prepared for anything. While it may seem strange to take out a loan to pay off another loan, debt refinancing is a popular and sometimes necessary reason to take out a business loan. You might choose to refinance your business debt because you are offered a loan with better rates and fees, or you might choose to consolidate multiple loans into one loan. If you’re considering refinancing a loan you are currently paying on, check out our Complete Guide To Refinancing Small Business Debt. AÂ business acquisition loan, or a loan to buy a business, is another popular category of business loans. You can take out this kind of loan to expand your current business’s offerings with the purchase of another business, or to buy a business even if you don’t have an existing business (in which case you will probably need a startup loan). Depending on your business credentials, the health of the business you want to purchase, and other factors, you may be able to get a business acquisition loan through a bank or the SBA. You might also finance your business purchase through a business expansion loan or a startup loan from an online lender. There are also franchise loans available to individuals looking to purchase a new or existing franchise. Sometimes it just doesn’t work out with a business partner. But just because your partner agrees to be bought out doesn’t mean you’ll necessarily have the money to do so. 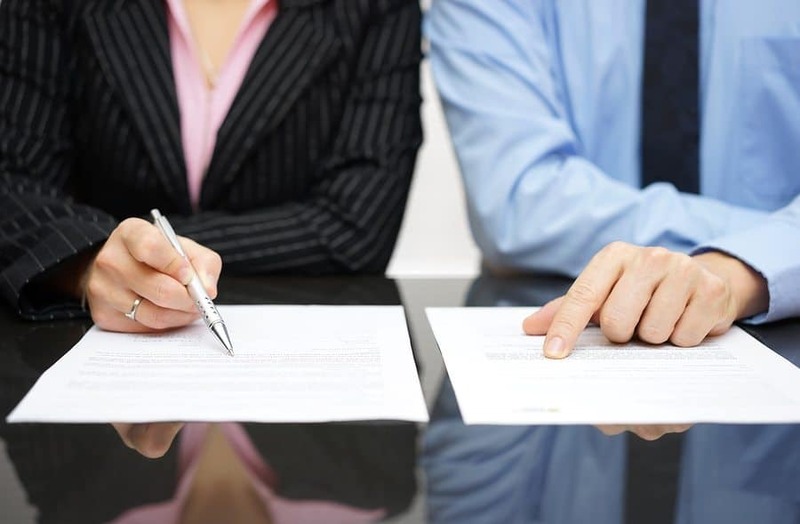 In these circumstances, you can get a business loan to execute a partner buyout. There is not really a specific type of loan for partner buyouts but you can use many standard business loans for this purpose, including anÂ SBA standard 7(a) loan. Perhaps you want to expand or improve your physical business location(s) with renovations or improvements, or maybe you want to construct a brand-new building for your business. Either way, a commercial real estate loan—also called a commercial mortgage or commercial construction loan—is the type of financing you need. You can use a commercial construction loan, typically obtained through a bank or credit union, to pay for construction costs such as labor, materials, and land development. Hard money loans are another option to pay for business construction. Businesses with a lot of outstanding invoices can free up pending earnings using a type of loan called invoice factoring. The financer fronts you the money that your customers owe you, and then you repay them as the customers pay off their debts. With this type of financing, your business does not necessarily need to have good credit, as the invoice factor is more concerned with your customers’ credentials than with your business’s. Insurance is a major business expense. Business insurance requirements vary by state and industry. Liability insurance, property insurance, employee healthcare insurance, malpractice insurance, and flood insurance are just a few types of insurance your business might need. For certain business loans, you even need insurance in order to get the loan in the first place. For example, you may need life insurance and various other types of insurance to qualify for an SBA loan. While, ideally, insurance costs will be included in your budget as a percentage of your gross sales, a business loan or line of credit can help your business pay your insurance policy during times you cannot afford to do so. Remember that safety net we talked about earlier? Well if you don’t have it, you could have no choice but to take out a loan after-the-fact to cover an unexpected business expense that you didn’t budget for. This could be anything from replacing some expensive equipment that failed unexpectedly to making repairs after a natural disaster. Fortunately, an emergency business loan can help your business cover the expense of just about anything life can throw at ya. Marketing/advertising is a business expense that can cost a lot of money upfront but will hopefully pay off in the long run. SEO and online advertising, commercials, billboard advertising, radio ads, and promotional materials are all types of marketing for which you could need a loan, especially if you’re hiring a marketing agency to try to achieve big results. A lot of small businesses don’t have much of a business credit history, even though the business owner herself might have good credit. Taking out a business loan is one way of establishing aÂ business credit history rather than using your personal credit for your business. Building business credit will allow you to separate your personal and business credit profiles, and will also put you in a good position if you need to ask for a business loan in the future. For more information on this and other ways to build your business credit history read my Ultimate Guide To Improving Your Business Credit Score. Every now and again, your business may be presented with an awesome opportunity that is just too good to pass by—even if you can’t afford the whole thing up front. Business success requires a lot of pragmatism and planning, but there is also some degree of risk-taking and, dare I say it, magic. Whatever that special something is, if you get a “spidey sense” that a certain opportunity will help take your business to the next level, it can pay off handsomely to trust your intuition and go out on a limb to make that investment. Of course, going out on a limb in this case likely means taking out a business loan. Just make sure you’re not so focused on the opportunity that you rush things and say yes to the first loan offer you come across. It’s absolutely essential to compare multiple loan offers to make sure you are getting the best deal. I’ve discussed many types of business loans in this post, and it can be confusing to sort through all the different loan categories if you don’t know what you need. To help simplify things, I’ve made a chart with brief explanations of different loan types discussed, and below that, I included longer descriptions of some popular loans you should know about. Financing for businesses 6 months old or younger. Financing to cover daily operating expenses of running a business. Credit card used for business expenses. Self-securing loan to finance major equipment purchases. A standard type of business loan also called a term loan, repaid in regularly scheduled installments. Usually a large, low-interest loan, repaid over 5 or more years. Crowdfunded capital to purchase real estate for a business. Expensive but quick source of business financing for merchants who need fast funds. Loan to purchase a business. Loan to open a new franchise or purchase an existing franchise. Standard business loan backed by the U.S. Small Business Administration. Long-term loan to purchase commercial real estate for a business. Service which converts your small business’s outstandingÂ invoices to cash. Term loans, also called “installment loans” are a broad category of business loans. This type of funding is paid back in periodic installments, with interest. It may be a short- or long-term loan. Higher-quality term loans typically give you a longer amount of time to repay the loan, and let you pay via monthly installments (vs. weekly or daily installments with short-term loans). However, you will need at least 2 years in business, plus good credit and strong revenues, to qualify for a long-term business loan, particularly if you borrow from a bank; online lenders have less strict requirements. Long- and medium-term loans are useful for established businesses making long-term investments in fixed assets like property or renovations, though they can also be used for working capital. Short-term business loans—installment loans that are repaid in 3 years or less, or sometimes in a matter of months—usually come in smaller amounts with higher rates when compared to long-term loans. Short-term loans also tend to require weekly or daily repayments. Although they are more expensive and less desirable than long-term loans in a lot of ways, short-term loans are relatively fast and easy to get and don’t have as stringent borrower requirements in terms of credit score, income, or time in business. Because they have such a short repayment schedule, short-term loans are good for short-term problems, such as one-time expenses/investments. Merchant cash advances are not technically loans; rather, they are advances on your future sales or revenue. With a cash advance, you’ll receive a lump sum, which you’ll then begin repaying out of your daily credit card sales.Â The interest charged on MCAs is usually calculated in terms of a factor rate rather than interest rate—for example, you might have a factor rate of 1.3, which means you’ll have to repay 1.3x the amount you borrowed. A typical factor rate for an MCA is between 1.2 and 1.4. An MCA is good for an emergency situation where you need a large sum of money quickly and/or have bad credit, but you have a healthy daily cash flow. It does not help you build business credit because it’s not actually a loan and these lenders don’t usually report to credit agencies. Business credit cards are useful the same way personal credit cards are useful—they allow you to pay for large or small expenses even if you don’t have the cash on hand, while also earning you rewards and building your credit history. Of course, you can get yourself into trouble if you don’t pay off the balance in a reasonable amount of time. With that said, business credit cards are super handy for any type of business expense that doesn’t exceed your credit limit, particularly if you can find a card with a 0% introductory rate, like the ones below. Even if you don’t have an expense looming on the immediate horizon, a business card is just good to have in case you need it. A business line of credit is an amount of money available for you to draw from as needed. You only have to pay back what you borrow (plus interest). Similar to term loans, you can get a line of credit from a bank or online lender. Not unlike a business credit card, a line of credit is useful to have just in case you need to make up for any type of shortfall or gap. An LOC can come in handy especially if you have a seasonal business or a business with occasional cash flow problems. Additionally, a line of credit, like the ones offered by the lenders below, can help you build business credit. Invoice financing, sometimes called invoice factoring, is when you sell your business’s unpaid invoices to a credit facility. The facility fronts you the amount of the unpaid invoice (minus a percentage they charge as a fee), and you then repay the lender as your customers repay you. Note that you do still need to repay the lender even if your customer never pays you. Invoice financing is a useful type of financing for businesses with a lot of unpaid invoices thatÂ want to free up some cash. The borrower requirements are usually pretty relaxed, as invoice finance companies are more concerned with your customers’ creditworthiness rather than your business’s. Equipment financing is useful for the purchase of any type of equipment or machinery your company needs but can’t afford outright. This type of “self-securing” financing does not require any collateral other than the equipment itself, and you usually don’t need to have excellent credit or much else in the way of borrower credentials. If you default on the loan you could lose the equipment, but if you make all your payments, you will eventually own the equipment. 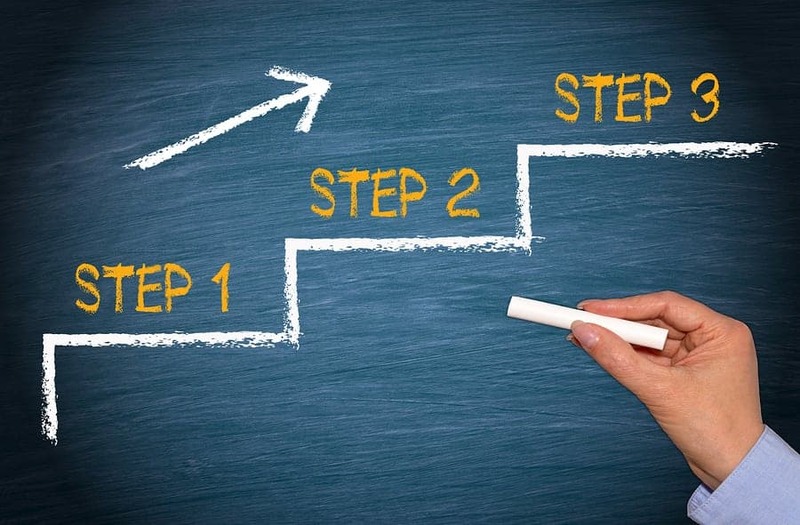 If you’ve decided you need a business loan, it’s time to take the next steps to secure one. 1. Compare the different types of small business loans discussed above and determine which type of loan best suits your need. Or, read more about common types of business loans. 2. Take a look at our free guide to small business loans. 3.Â Calculate how much you can afford to borrow. 4.Â Take a look at our favorite lenders. Once you complete your initial research by taking these steps, you should have a very good idea of what to look for in a loan and which type or types of financing are best for your situation. You’re now ready to start applying! To save time applying to multiple loans, you might consider using a lending matchmaker service like Lendio, which allows you to compare multiple loans tailored to your needs. Applying for business financing can be daunting, given all the myriad types of loan products out there, and the possibility of being rejected for financing. You might also be worried about your ability to make payments on the loan. However, if you have a good reason to apply for a business loan, there is a very decent chance that there is a lender willing to lend to you with feasible, realistic terms. With those funds, you’ll be able to address whatever needs your business has while building up your business credit profile with each repayment. The post 19 Reasons To Get A Business Loan (And How To Get Started) appeared first on Merchant Maverick. No matter how good you are at planning, it’s impossible to prepare for every possible emergency that may affect your business. Acts of God like hurricanes, floods, and fires aside, invoice payments might be late. You may have experienced a fluke sales slump. Or maybe you just need to restock before a big event next week to maximize your sales. You’ve already shaken out your pants for loose change, so now what do you do? Where do you look for an emergency business loan? Read on and we’ll try to help you out. Here are seven ways to get business funding fast. If it has been a while since you last looked for financing, you’re probably imagining long, drawn-out loan applications with high credit restrictions. Those traditionally-structured loans still exist–and tend to have excellent rates–but they’re not much help when you need money fast. An easier way for most businesses to get a lump sum of cash quickly is to get a short-term loan. Short-term loans usually last less than a year, feature simplified (and usually online) applications, and can get cash into your account within 24 to 72 hours. Most of them don’t even require collateral in the traditional sense. So what’s the catch? Well, you’ll probably be going through an alternative lender. That means higher rates and fewer regulatory protections than you’d find with a bank. Because the repayment schedule is accelerated, these loans charge a flat fee instead of instead of interest. This fee is a percentage of the amount you borrowed ($10,000 x 20% = $2,000, so you’ll be on the hook for $12,000). You’ll also be paying it back much more quickly. Repayment intervals are weekly or even daily, with fixed payments automatically withdrawn from your business bank account. I know we’re technically talking about “loans,” but if you need money quickly, you’re probably not that concerned with semantics. For the pedantic, a merchant cash advance (MCA) is the purchase of your future credit/debit card sales. So you’re technically selling something, not taking on debt. Confusing, right? An MCA fulfills a similar niche to a short-term loan and shares a few characteristics with it. MCAs also feature simplified applications and qualifications; they’re even less governed by financial regulations than short-term loans.Â You’ll also usually have your money in a day or two. MCAs and short-term loans even share a flat fee approach, where the amount you owe is the amount you “borrowed” plus a percentage of that amount ($10,000 x 20% = $2,000, for a total of $12,000). But wait, didn’t I say the MCA company was actually buying a percentage of your future receivables? How does that work? Rather than making payments, the MCA company will collect a percentage of your daily credit- and debt-based sales until they’ve collected the lump sum they gave you, plus their flat fee. BecauseÂ your sales may vary from day to day, MCAs don’t have exact term lengths. If your sales are good, you’ll pay the debt off more quickly; if they’re poor, it will take longer to pay off. Be aware, however, that MCAs are one of the most expensive ways to borrow money. What’s an express loan? The definition varies by lender, but in general, this is an option offered by many traditional banks. Thanks, in part, to pressure from alternative lenders, banks have made efforts to speed up the application processes of some of their products. If you need a small amount of money relatively quickly, it may be the way to go. These loans typically aren’t short-term loans, but medium-term installment loans. That means monthly payments and interest accruing over time. Compared to short-term loans, express loans will often have better rates but aren’t as easy to qualify for. Depending on the bank, the speed with which you can get funding may be competitive with those of alternative lenders, while others might be a little bit slower. Note that SBA Express loans, while quicker than other SBA loans, probably aren’t going to be fast enough to cover an emergency expense. On the other hand, if your emergency is the result of a regional disaster, you may want to check out SBA disaster loans. Wait, aren’t installment loans–express loans notwithstanding–too slow to be much help in an emergency? Alternative lenders don’t only deal in short-term loans and merchant cash advances. Some offer products that more closely resemble traditional installment loans. These loans feature longer-terms and regular monthly (sometimes weekly) payments. Installment loans, even those from alternative lenders, don’t necessarily promise the 24-48 hour turnarounds that are common with short-term loans and merchant cash advances. Some do, however. And even the ones that don’t may still be fast enough to help resolve your emergency. Another way to handle emergency expenses is to have lines of credit in place ahead of time. The easiest to use are probably business credit cards. Business credit cards can be a convenient way to pay for emergencies, provided the emergency costs are on the smaller side and can be paid with plastic. A balance that sits on your card month after month will quickly become more expensive than a loan. On the other hand, if you’re able to pay your business credit card off in full within your grace period (usually 20-25 days after you make the purchase), you won’t owe any interest at all. Better yet, you can take advantage of the rewards programs most of these cards offered. Avoid taking out a cash advance with your credit card, though, as the fees and interest rates on those transactions make them a very expensive way to bail your business out. Business credit cards aren’t the only way to set up an “insurance policy” against unplanned expenses. In fact, they may not even be the best way, especially if you encounter expenses you can’t easily pay for with a card. Banks and some alternative lenders offer business lines of credit. A revolving line of credit is a lot like a credit card (technically a credit card is a revolving line of credit, but not all revolving lines of credit are credit cards. Make sense?). Your lender will approve your business for a certain amount of credit, for a certain period of time, typically a year. During that time, you can draw upon your line of credit in any increments you want so long as the total amount you’ve drawn doesn’t exceed your credit limit. You only make payments and owe interest on the amount of credit you’re using. As you pay off your balance, that credit becomes available to use again. A non-revolving line of credit works the same way, except that once you use your credit, it does not become available again after you pay it off. Some lines of credit are easier to use than others. Depending on your lender, you may have to pay a draw fee each time you withdraw cash. Some lenders charge annual, or even monthly, fees to maintain your line of credit. It’s not uncommon for banks to link a line of credit to a Visa or Mastercard, allowing you to use it almost exactly like a credit card. Some lenders may let you write checks against your line, while others will necessitate a cash transfer from your line to, say, a checking account. Do what now? A quick and unorthodox way to get emergency financing without putting yourself at too much risk is invoiceÂ factoring. 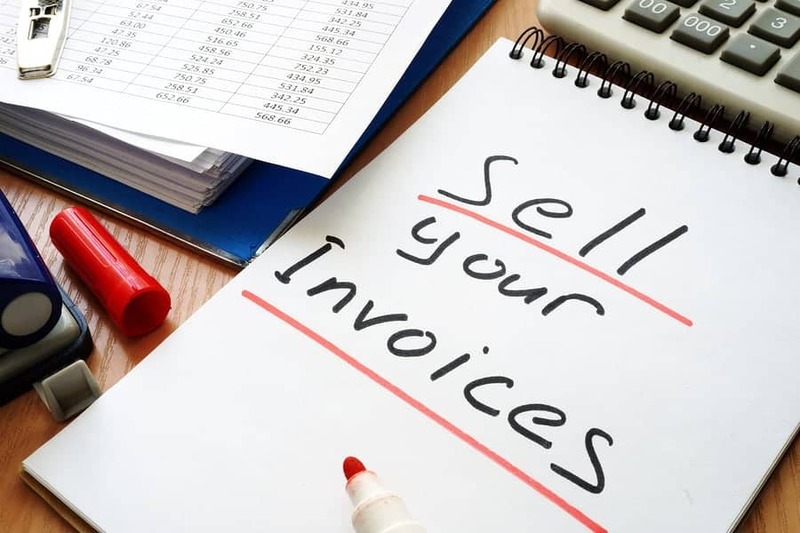 Factoring companies will purchase yourÂ unpaid invoices for around 80 percent of their face value, minus a small fee. It’s essentially getting an advance on your invoices by signing them over to a third party. What about the remaining 20 percent? The factoring company will pay you that balance when the invoice is paid by your customer. The catch is that you’ll need to have unpaid invoices in hand for invoice factoring to be of any use to you. If you think invoice factoring might be the right choice for your business emergency, we recommend starting with a reputable company likeÂ BlueVine. It’s easier than ever to get emergency funding for your business. The trick is making sure you get it on the schedule you need, at a rate you can afford. Fast business loans used to fulfill funding needs until slower financing comes in. Loans offered by the SBA to businesses that have been affected by a disaster. The post Emergency Business Loans: 7 Ways To Get Business Funding Fast appeared first on Merchant Maverick. Have you seen the term “commercial loans” in an ad from a bank or alternative lender and wondered what, exactly, that meant? Or where you’d look for one? Or what the terms of a commercial loan might be? Commercial loans aren’t specific types of loans but are rather a category of loans or loan-like products that lenders offer to businesses. While they’re not the only game in town anymore, banks are still one of the best sources of lending available to businesses that fall within their territory. Lending standards are still fairly tight compared to those before the 2008Â financial crisis, however, so bank loans may be out of reach for newer businesses or those with bad credit. Still, if you’re looking for the most competitive rates, you’ll probably find them at a bank. Filling the niche missed by traditional lending institutions is the private, alternative lending market. These lenders tend to have easier qualifications and quicker applications. Additionally, most have more of a national focus, which is helpful if your business is located in an underserved area. The trade-off is usually, though not always, higher rates and stricter repayment regimens since these loans represent investmentÂ opportunities in the form of private capital rather than banking services. This is where it gets interesting and more complex. If you’re entering the market just looking for a “loan” you may quickly be overwhelmed by the terminology, buzzwords, and marketing gimmicks. On top of that, individual lenders will brand their financial products, making it harder to make a 1:1 comparison between different company’s offerings. The good news is, once you cut away all the gimmicks, there aren’t that many different types of products to wrap your head around. Sometimes called medium or long-term loans, term loans what most people think of when they hear the word “loan.” In most cases, a business that successfully applies for a term loan will receive a lump sum of cash which can then be used for business expenses. In some cases, there may be restrictions on what the money can be used for. These loans will generally last between one and 10 years, accruing interest along the way. The longer the term, the more expensive the loan will be. In most cases, you’ll make fixed, monthly payments to your lender. The loan is considered paid off when you’ve paid back the money you’ve borrowed plus interest. Isn’t a short-term loan just another type of term loan? You’d think so, but short-term loans are actually pretty different than their medium- and long-term cousins. Short-term loans don’t last that long,Â as the name would suggest — usually less than a year — so they don’t have time to accumulate a lot of interest. Because of that, most short-term loans charge a flat fee rather than a true interest rate. This flat fee may be expressed as a percentage (18%) or as a multiplier (1.18). In either case, to figure out how much your flat fee is in dollars, simply multiply that number by the amount you’re borrowing. Short-term loans are both faster and more expensive than other term loans, featuring expedited application processes. Unfortunately, your repayments are also sped up, with fixed payments made weekly or even daily. These payments are almost always automatically deducted from your bank account. As in the case of term loans, these payments are fixed (with some rare exceptions). The Small Business Administration (SBA) is a federal agency tasked with promoting and assisting American small businesses. The term SBA loan is a little bit misleadingÂ because the SBA doesn’t usually originate their own loans. Instead, they work through banks and privates lenders, guaranteeing a percentage of the borrower’s debt. This reduces the risk to the lender and allows businesses to qualify for rates and terms they may otherwise be unable to get. The two most popular programs are theÂ SBA 7(a) and the CDC/504. The 7(a) loan is the more popular of the two. It covers typical working capital expenses as well as site improvements and business acquisitions. 504 loans are oriented more around economic development. The major drawback to SBA loans is that they have a longer and more complicated application process than similar term loans. While SBA Express loans speed up the process a bit, don’t expect to have the money in your account right away. If you plan on buying equipment with your loan, you may want to consider an equipment loan. Equipment loans look a lot like term loans, but rather than being open-ended are specifically used to cover a percentage (85% is typical) of the cost of a specific piece of equipment. Equipment loans use the equipment you’re purchasing as collateral, meaning you get the benefits (lower rates, longer terms) of a secured loan without putting up any of your own assets. Not sure how much money you’ll need in the coming year? Do you anticipate needing to make a large number of small purchases over a period of time? Do you just want to have something to fall back on in an emergency? When you get a business line of credit, your company is approved up to a certain credit limit (a line of credit is very similar to a business credit card in that respect). Let’s say you’re approved for $100,000. You can draw upon that line of credit any number of times, in any amount you want, until you’ve accumulated $100,000 worth of debt. You only pay interest on the amount of credit you’ve used. This makes lines of credit far more versatile than other types of loans. If the line of credit isÂ revolving, any balance you pay off becomes available for use again. If it’s aÂ non-revolving line of credit, it’s a one-shot deal. You can still withdraw in increments, but once the credit is used, it won’t become available again. This convenience tends to come at a premium. Lines of credit usually have higher qualifications than loans, and many come with annual or even draw fees. They usually feature variable monthly payments, although some offer no-interest grace periods. These products aren’t loans, commercial or otherwise, but you’re probably going to run into them if you’re looking for commercial loans. Here’s a quick rundown so you won’t be caught off-guard. Merchant cash advances (MCAs) are an alternative way to get working capital. Rather than lending you money, the funder buys a percentage of your future credit/debit card sales. MCAs fill a similar niche to short-term loans. You’ll still get a lump sum, be charged a flat fee, and make daily payments. But rather than imposing fixed payments, your funder will claim a percentage of your daily card sales. Because MCAs aren’t loans, they aren’t governed by laws affecting loans. This allows them to be offered to riskier “borrowers,” and at a higher rate. Invoice factoring is a way to get an advance on your accounts receivable by selling them to a factoring company at a small loss. That company then collects on the invoice in your place. You’ll be paid the majority of the invoice’s value as a lump sum up front, with the remainder paid out to you — minus a fee — when (and if) the factoring company collects on the invoice. An easy way to narrow down your options is to eliminate any options for which you do not qualify. This will save you time and, potentially, money. Qualifications will vary from lender to lender, but these are the main things you’ll want to consider. For the more conservative lenders, your credit rating is a line in the sand. If you don’t meet their minimum standard, they simply won’t work with you. For traditional banks and SBA loans, that line is usually somewhere in the mid-to-high 600s. With alternative lending, the guidelines aren’t so hard and fast. Some lenders impose minimums below which they absolutely will not go, but others don’t use credit scores for rule-out criteria. That said, pretty much every lender, traditional or alternative, will use your credit history to determine what kind of rates you’re offered. Lenders are going to want to know that your business is real and has staying power. A business that’s been afloat for five years inspires more confidence that one that is three months out from opening. That said, not everyone is looking for the same thing. A traditional bank may want to see two to three years in business before they’re willing to take a risk on you. An online short-term lender may only be looking for six months — or even three months, in some cases. Any reasonable lender is going to want to know that you’re capable of paying them back. Even alternative lenders with loose credit prerequisites, especially those dealing in unsecured loans, will want to see your bank statements to get a sense of your cash flow. The more revenue you regularly take in, the more credit your prospective lender will be willing to extend you. This one’s out of your control, but the lender you’re looking at may not lend to businesses in your industry or even to your state. Banks tend to lend mainly through their physical branches and may require you to have a business checking account with them. Alternative lenders operate primarily online, but due to differences in lending regulations between states may not be able to lend to you, or may not be able to offer all their products. If you’re seeking a secured loan or line of credit, you’ll need to be able to put up collateral to secure your funding. What qualifies as collateral varies between lender and product, ranging from cash depositsÂ to inventory, equipment, or real estate. Make sure you can put up the necessary collateral. Qualifying isn’t enough. It’s important that a lender meets your standards as well. So what should you look for? Most lenders have minimum and maximum amounts they’re willing to lend to businesses. You’ll want to be certain the lender is capable of giving you the lump sum you’re seeking. Of course, your revenue will have to be sufficient to cover your debt. Banks are capable of offering larger amounts of money than most alternative lenders. One of the easier ways for a small business to qualify large amounts of money is through an SBA loan. How long do you need to pay your loan off? This can be a complex question; there’s no “right” answer. For any individual product, a shorter term length usually means lower interest rates than a longer one. However, paying off a loan quickly may stress your cash flow in the short-term. Having a good sense of your business’s ebb and flow before applying for any financing. But don’t make the mistake of thinking short-term lending productsÂ come with lower interest rates or fees than long-term loans. In fact, those products tend to be among the most expensive in the industry. That said, the speed with which short-term lenders or merchant cash advance providers can get money into your hands may make them the best choice if you have time-sensitive expenses. It goes without saying that you want to get the lowest rate you can whenever you borrow money. APRs serve as one of the easiest ways to make direct comparisons between different products. Even though short-term loans use flat fees rather than interest rates, there are tools available to help you make the conversion. Remember that lenders don’t always mean the same thing when they say “interest.” The percentage you see may be annual or monthly. In some cases, a flat fee may even be described as an interest rate. Not to be confused with interest rates or flat fees, these are costs associated with the loan beyond interest rates. Not all lenders charge fees for every product, and some may have promotions that waive fees. The most common fee you’re likely to encounter is the origination fee. Usually ranging between 1% – 4% of the amount of money you’re borrowing, this is not a fee you pay out of pocket. Instead, it is deducted from the lump sum you receive from the lender, so you’ll want to take it into account if you’re counting on every cent. Additional fees may be charged for setting up accounts from which to withdraw automated payments, for late payments, or even just miscellaneous “administration fees.” Approach any lender who charges anything beyond an origination fee with caution and factor those costs into the amount of debt you’re taking on. Hopefully, we’ve answered some basic, nagging questions about what commercial loans are and how they work. With so many potential options, finding a lender can be an overwhelming prospect. Not sure where to look? We can help get you started. Loans in which you borrow money in one lump sum and repay in fixed installments. Term loans can be used for most business loan purposes. Loans used to finance the purchase or commercial real estate. Business financing with short term lengths, which normally have a one-time fixed fee instead of interest. Loans used to finance the costs of starting a business. The post Commercial Loans: Types, Rates, And Where To Find The Best appeared first on Merchant Maverick. Are Alternative Funders Abandoning Merchant Payday Loans? Right now, if you’ve searched for financing online, you’ve most likely encounter advertisements and sites offering merchant payday loans (MCAs). Actually, there’s even a high probability you’ve experienced some cautionary tales about the subject. You might have even heard rumors that alternative funders are abandoning MCAs entirely. Following the Great Recession, traditional banks were unwilling to extend youthful companies credit, especially individuals without stellar FICO scores. This made unfulfilled interest in new, aggressive companies to fill. Many billed themselves as tech companies, operating mainly online and will be offering an efficient, modern-feeling application that emphasized speed and convenience. They aimed, as Plastic Valley is frequently keen on saying, to disrupt. The paradox, obviously, is they were (and therefore are) still financial companies, and finance has some inherently conservative traits. Risk needs to be priced in to the product. The higher the risk, typically, the greater the payout must be. The low your lending standards, the bigger your possible client base–assuming you are able to reap a higher enough rate of interest. Most states have usury laws and regulations on their own books that set all the appeal to you may charge on the loan. But merchant payday loans aren’t loans inside a legal sense. Whenever you join one, you technically aren’t being loaned money you’ve designed a purchase and been paid for it. Whoever else offered? A portion of the future sales. The resulting arrangement looks nearly the same as financing without really being one. Recent rulings, such as this one from New You are able to, illustrate how MCAs effectively bypass loan legislation. This model has shown appealing to both entrepreneurs and traditional financers, the second which sometimes supply the source capital for that merchant cash loan company. Because it’s largely unregulated, the MCA industry includes a status to be nature frontier of economic funding: it’s a higher-risk, high-reward proposition in the outlook during the funder. For that actual business being funded, however, that arrangement look nearly the same as predatory lending. MCAs envision nightmare scenarios of triple-digit APRs, a lot of hidden charges, along with a particularly insidious practice known as “double-dipping,” in which the customer effectively winds up having to pay interest on interest. Pointless to state, the saying “merchant cash advance” provides extensive baggage, a lot of rid of it-deserved. While MCAs have been in no danger of disappearing, there’s a couple of trends that seem to be emerging inside the industry. Because of the online orientation on most MCA funders, they are usually competing inside a nationwide (and occasionally international) market instead of local, captive markets. This puts an MCA funder located in California in direct competition with one from Sc. Latecomers towards the market especially may have a problem eliminating a distinct segment, or they should pursue more and more dangerous customers, frequently seeing correspondingly high default rates. Pointless to state, it isn’t unusual to determine a few of the less competitive funders close shop or consolidate. Some alternative funders offer both MCAs and short-term loans (STLs). In the customer’s perspective, the 2 goods are pretty similar, featuring fast processing, daily payments, and short-term lengths. Unlike MCAs, however, STLs are susceptible to condition usury laws and regulations. Consequently, you’ll frequently see alternative funders prepared to offer STLs in states with less stringent laws and regulations while only offering MCAs in stricter states. However, some alternative lenders are pivoting to loans because they’ve were able to create a reliable niche with less dangerous customers. One other way alternative funders coping the negative thought of MCAs is as simple as rebranding. This could happen in the business level, using the funder altering their DBA or spinning off a side brand, separating their MCA activities from the remainder of their business. Some funders simply decide to alter the definitions of the products. One common approach would be to present an advance that utilizes fixed costs and ACH withdrawals instead of claiming a portion of daily debit and credit card sales. The product can always be known as an MCA, however, many funders call it another thing. Furthermore, it enables the funder to give the client funding even when it normally won’t satisfy the requisite card revenue that traditional MCAs require. Many funders are attempting another position, however. Instead of trying to sidestep the pitfalls from the MCA sector or abandon it entirely, some are attempting to rehabilitate its status. While total transparency continues to be uncommon, it’s increasingly common for funders to publish more and more exhaustive breakdowns of the processes, rates, and charges. Incidents where provide tools like loan calculators which help customers compare their goods to individuals of competitors, or perhaps to traditional loans. A couple of funders ‘re going one step farther. Frequently, largely unregulated industries attempt to preempt potential condition participation by creating self-regulatory agencies. Think the Motion Picture Association of the usa or even the Entertainment Rating Software Board. Go into the Innovative Lending Platform Association (ILPA). Presently made up of seven alternative lenders, the ILPA evidently seeks to create a business standard for transparency and supply guidelines for alternative lending. By defining a Code of Ethics along with a comprehensive group of metrics, ILPA tries to address a few of the greatest criticisms of the profession. Reports around the dying from the merchant cash loan seem to be exaggerated, however it does appear to become a business that, in reaching maturity, has additionally arrived at a vital level. Whether this specific financial product turns into a lengthy-term fixture in financing or winds up as a quirk of the publish-recession recession remains seen.